How to get rid of HTTP 500 error on your word press website? Mostly HTTP 500 errors is a common issue which has a great impact to access to your WordPress dashboard or you can say HTTP 500 error means you have lost your WordPress admin bar. Which causes as you can’t see your home page and blog sites, it seems like you have fully lost your control from your WordPress website. Actually, these types of issues are from internal server error or may because of having huge traffic and hosting server unable to open your WordPress site on their server. 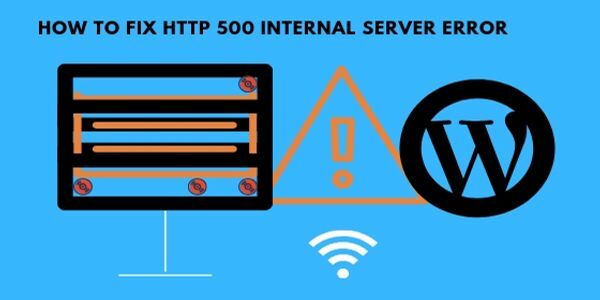 There are plenty of issues which make a cause of having HTTP 500 error, some error can be resolved by yourself and some type of HTTP 500 error to solve you can meet up via your hosting provider to get rid of this type of HTTP 500 error. How you can resolve your internal server HTTP 500 error on your WordPress website? But before we start to know how you can get rid via HTTP 500 error by yourself. You have to first know actually, why you get HTTP 500 error notifications and what is HTTP 500 error. Here are the few points I notice, which can impact to get your site HTTP 500 error. 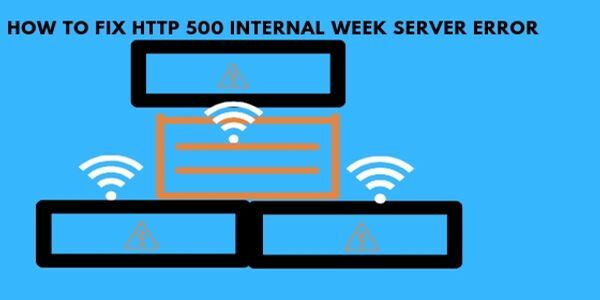 Having HTTP 500 error cause of week internet server response. Seeing HTTP 500 error cause of server error. There are plenty of resources, which can show or create HTTP 500 error internal issues. But here I have mentioned some issues, which I found that cause HTTP 500 errors on your system dashboard. To get rid with this situation you have to simply reload your page, with refreshing your reload option or you can type your URL back again to your search bar in your browser. Cause of having internet low speed may the reason of getting notification of HTTP 500 errors. This kind of internet speed issues are normal and temporary, you can wait for some time, it will automatically resolve your HTTP 500 error on your browser dashboard and your page will be reloaded. You can also use or get help with your keyboard to refresh your browser .it is very simple you have to simply press F5 or Ctrl + R, your page will be refresh and reload. If still having the same issues you can check out these two options. Some time on “internet” browser gets affected by the cache policy issues and cause HTTP 500 error on your web browser’s cache “Means” you have to clear your browser cache. And get back to your browser and search again via typing that URL which you were trying to open the page in your internet server. It is a great trick to get back to your server and reload your pages but still not reload your page it is internal server error problem. It “means” that you have not any issue via your browser cache policy. 2-Browser cookies on internet browser cause HTTP 500 error issue. There are plenty of issues which may cause HTTP 500 internal server error. But deleting browser cookies can impact to get to your URL page to reload. You have to simply go to your browser setting and clear all cookies from your internet browser. And again refresh your page to reload and restart your browser to get back to your visiting site. If still, you have same 500 issues then you are having the issue from your particular server network or it may be the server is not responding properly to upload on your web browser. Actually, the server shows HTTP 500 error “Means”your browser doesn’t access your requesting file or it may because of your file doesn’t find in server indexability. And such issues mostly happen, when the server has been shut down for some security reason or having maintenance issues. To get the exact report what kind of issues you server having, that couldn’t find your file you can chat via your hosting provider. Mostly this kind of Server issues is for some time, for second, minute or hours. But after some time, it automatically resolves it. But before you chat via your hosting provider you must check out some error issues to resolve you’re self. If still having same HTTP 500 error then you can meet up via your hosting provider and communicate for your HTTP 500 error issues. How to fix HTTP 500 error problem on your WordPress site? >Getting HTTP 500 error cause of having huge traffic immediately and the server doesn’t handle and recognizes it. >Some time HTTP 500 error cause of using cache plug-in. >Converting HTTP to https secure site may cause of HTTP 500 error. >Having issues via your htaccess file then also you can see HTTP 500 errors. >Having issues via your theme cause HTTP 500 error. >Might be getting HTTP 500 error cause of installing or deleting the plugin. These are the several issues which cause as an HTTP 500 internal server error. How to get rid of HTTP 500 error issues via short description? There are plenty of issues, which cause HTTP error and one of error may be cause of increasing traffic immediately on your website. It is the common issues which are mostly faced by the beginner or small business owner, who used a dedicated hosting server. Before you have not increased your visitor and audience on your website, your website speed is good to respond immediately. but as you start increasing your visitor immediately.”Means” as your content jumped to the Google or other search engines on the first page result your dedicated server can’t handle it. And your dedicated server shut down your websites cause of getting heavy load immediately and whenever you open your website it shows HTTP 500 error notifications on your browser dashboard. But these kinds of issues are most welcome via while using dedicated hosting services from the bad hosting provider. That’s why people keep more attention while buying hosting services. If you are one of them struggling via this kind issues contact to your hosting provider to resolve your HTTP 500 error and fix it. If still having the same issues then get rid of that hosting provider and move on to get to tie up your WordPress site to the new hosting service provider. It is one of the recent issues which I face to get HTTP 500 errors while using cache plug-in to my WordPress site and find so much difficulty to resolve this problem. And done lots of searches to get rid back to my dashboard but still, I can’t get any information to resolve this problem. And find the solution myself with reading a trusted blog from popular websites and understand that what will be the solution to get back to my server. If you are using cache plug-in to your WordPress website to speed up or you can say, to increase your website speed. Here my word doesn’t mean that using cache plugin bad effect to your WordPress site. But be careful while setting up the cache plugin setting. Actually cache plugin work as a container, which controls all directories from your site to purge cache, like plugin directories, theme directories, and other content directories etc. So that’s why if you are using a cache plugin to increase your loading speed and still not getting any positive result. And obviously, you want to get rid of that cache plugin and now its turn to uninstall cache plugin. This is the point, which may cause to face HTTP 500 error notification on your dashboard while opening your website admin bar, home site, and pages. Actually, it may corrupt your website structure and access syntax code file as you uninstall your cache plugin from your WordPress website. So if you want to uninstall this plugin then avoid dashboard you can get help from your c-panel and FTP account to uninstall cache plugin. You have to simply open your c-panel /control panel and check out file manager open it find wp-content and double click on it .you can see plugin directories double click on it and find your cache plugin. Simply right click on it and use Delete option to delete permanently from your WordPress dashboard. How to fix HTTP 500 error issues while uninstalling cache plugin from WordPress dashboard? If you are having HTTP 500 error issues .while uninstalling your cache plugin from your WordPress dashboard then you have simply go to your panel and open file manager with checking show hidden file. As you open your file manager dashboard find the wp-content option and access file folder. You have to rename your htaccess file exp- htaccess new or you can type any word or character. After renaming go to your browser and open your website and admin panel now your HTTP 500 error issues will be fixed and you can access to your WordPress dashboard. But now you will be faced a new issue on your post and page called 404 error file not found message. Actually, this is common issues which we invite while renaming your htaccess file. And get back to your c-panel htaccess file and rename your htaccess new to original htaccess and save it. Now you have properly resolved your HTTP 500 error issues and back to your running server. You can also use this solution if you are having 404 error messages while opening your website. Converting HTTP to https secure site may cause HTTP 500 errors. This kind of issues which are similar issues, which you can face while transferring your site from HTTP to https. And this type of issues cause as an HTTP 500 error, it may be browser error but the real thing happens you can’t access your WordPress admin bar cause of HTTP 500 error. Or maybe you have to face 404 errors while getting to open your site and get a message on your browser dashboard file does not found. How to fix HTTP 500 error while transferring your site HTTP to Https secure server? In this case, you have to similar try a trick what we use to resolve while getting HTTP 500 error during uninstalling your cache plugin from your WordPress dashboard. Actually while transferring from Http to Https secure data .your permalink address on your WordPress get affected and cause an error on your htaccess file folder. And to resolve this HTTP 500 error you can use the trick, which we used for how to fix HTTP 500 error while uninstalling cache plugin. But in this case, you have to change your URL address from HTTP to https while fixing your permalink to htaccess file. That finish you have currently fixed your HTTP 500 error and running a secure web server. Having HTTP 500 errors cause of your site htaccess file. Actually, this is common issues which cause to shout down the website and you can’t access your WordPress admin bar. And this types of issue HTTP 500 internal server error you get while changing your website URL on your WordPress dashboard permalink setting. Exp – your URL is http://example.com and you change it to https: //examplexyz.com. In this Case, you have changed your website URL address bar and your site shows HTTP 500 error file doesn’t found. Let’s have a look at how you can fix it. How to fix HTTP 500 error on your htaccess file? While having this kind of issues you can resolve it from your c panel. Open your c panel and find out PHP admin folder open it. you will redirect to your admin folder dashboard and in the right folder search option folder bar. Click on it you will see a box of the backend dashboard of your website point out wp-admin and click on the pencil to edit your new URL which you want to access. Notable point – always use or edit your original site URL , you can get access to your admin dashboard until you do not edit and save your original wp-admin URL. After editing a right URL scroll down and point out home option, here also you have click on pencil and edit URL original URL and save it. You have done now you can check your admin dashboard and fix your original permalink address and save it. Your htaccess file automatically recovers permalink URL and fix your HTTP 500 error on your site. Http 500 error cause of invalid theme directories. Some time theme may cause to get HTTP 500 internal server message and you can lose your control your control from your WordPress site. “Means” deleting or changing theme cause HTTP 500 error. Actually some theme bad impact to your WordPress site and cause corrupt your htaccess file and theme directories. So that,s why professional user are more secure via this kind of HTTP 500 error issues. Actually, theme error causes a problem directly impact to your ranking factor on search engine .if you are running a popular website you can lose your visitor and drop down your ranking. How to fix HTTP 500 error cause of invalid theme directories? To fix this issue you have to first one by one rename your htaccess file , theme, and plugin to get access to wp-admin dashboard panel. 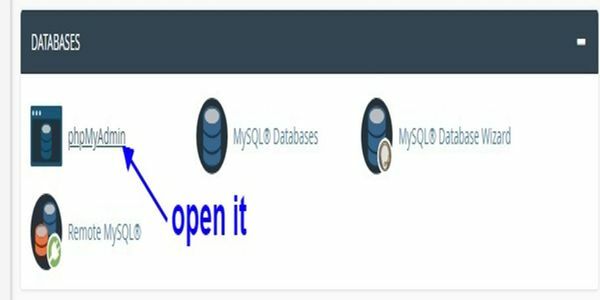 If your htaccess file has been an error then rename it and try to open dashboard. If still not get to access to your wp-admin dashboard, then it means your htaccess file is not affected. Now you can rename your plugin and see that you can access your wp-admin panel. if yes then good if not then next move on to rename your theme and rename it .now check out you can access your wp-admin panel. With using this trick you can access to your wp-admin panel. Now get back to your c- panel file manager and rename all file via there original folder name. And get back to your wp dashboard and check out your theme directories is working properly or not. if working then good if not you can go back to your panel file manager and rename theme and create a new folder of the theme. And delete older one now you have created a new theme directory, which will work properly you can check it out. Http 500 error cause of installing or deleting the plugin. Some time installing or deleting plugin may cause an error of HTTP 500 error. Actually, there are plenty of page builder plugin which effects to corrupt your access and plugin directories. And that’s why after uninstalling your page builder may cause of HTTP 500 internal server error. How to fix plugin directories on your word press dashboard? If you are struggling with this kind of issues then and couldn’t get access to your wp-admin dashboard. Then you have to rename your plugin directories from your c-panel file manager. First, you have to check out your htaccess via renaming it if you fix your issues of HTTP 500 error then move on to your dashboard and set up your permalink as a custom. And get back to your file manager and fix htaccess via renaming it via original name exp- htaccess old to htaccess original name. If till you not get access via your wp-admin dashboard then try renaming theme and plugin .you will be access to your wp-admin dashboard. But after fixing up HTTP 500 error issues move on to your wp dashboard and look out your plugin directories and theme directories are working properly. Cause in some cases you can upload or install plugin and theme in their original directories and get a notification of invalid directories. How to fix plugin and invalid directories issues on your word press dashboard? To get to rid from this type of invalid directories issues you have to simply move on to your c panel and go to the file manager dashboard. 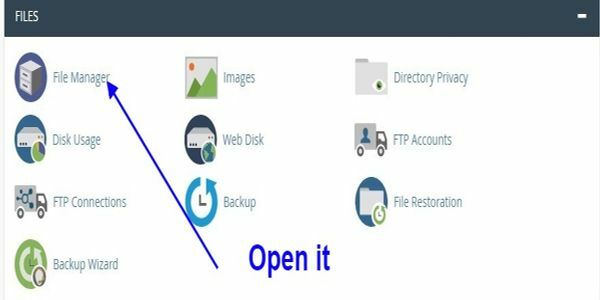 And open it and find out wp-content from you’re FTP file folder .now you have to double click on Wp-content option to see your plugin and theme folder. You have to simply rename that folder which shows invalid directories rename that folder and create a new folder with original name. Exp- renaming like plugin old and creating a new folder plugin. As same way renaming like – theme old and creating a new folder theme. And back to your wp dashboard and check out your theme directories and plugin directories work with proper address directories. Now you can remove or delete your renamed theme and plugin folder from your c-panel file manager. If you are still having a same HTTP 500 error then this a time to meet up or chat via your hosting provider. And provide them information that what type of issues you are getting on your website and request them to resolve it. Top 20 Best blog sites list to empower your blog via dynamic website (Info-graphic). Top 12 best free SEO tool checker to empower your website speed and search engine ranking. In this post, I have mentioned some several issues that how you can fix yourself. 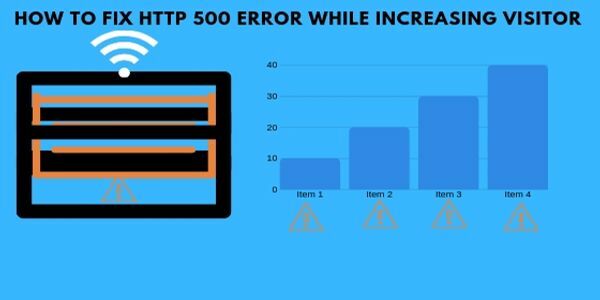 If you are getting HTTP 500 error on your website and looking to how to resolve and get rid of it then Article will be helpful to you..
Actually, I am a nontechie person who runs a blog and handles some of my customer websites. But in this post what I have shared, all issues are faced by me while handling customer website and some of my own website. And all the solutions are used by me to get to rid from HTTP 500 error which I get to learn from the internet world. For any query or suggestion related to this blog post feel free to comment on comment section box. And if you are still not familiar to our blog post and looking to get an interesting blog post to your inbox weekly. You can subscribe to our newsletter to get a more interesting post weekly. Buzzsumo : 2 in 1 SEO tool to mastering your competitor strategy.